Chic Family Travels found a little gem of a hotel in the heart of Tamarindo, Costa Rica named the Cala Luna. We are planning a multi-generational family trip to Costa Rica and wanted an authentic experience without sacraficing luxurious amentities. Luckily, I have a friend who lives in Costa Rica that led me to a local travel planner. We started our search for resorts in Costa Rica at the greater known Los Suenos which is located in Jaco. Our travel planner discouraged us from vacationing at the Los Suenos for the following reasons. She said that Jaco is a party town and not very family-friendly. In her opinion, staying at the Los Suenos Marriott would be no different that staying at any other beach resort in Florida or California. She wanted us to get a real feel of what Costa Rica is really about. 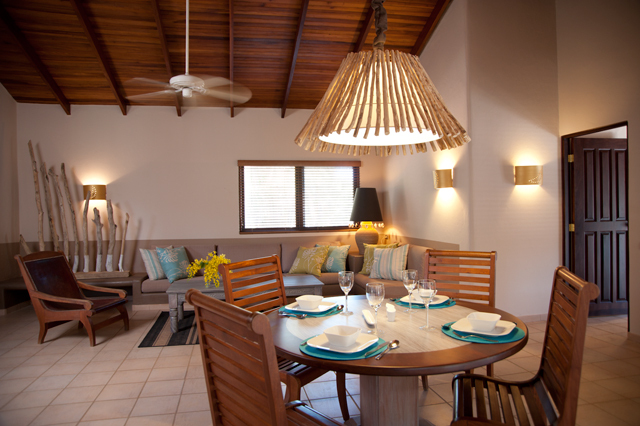 She recommended the Cala Luna because it is located in the more family-friendly beach town of Tamarindo. The Cala Luna is actually walking distance to town which we thought was pretty cool. The Cala Luna has recently under gone a complete rennovation and it looks modern and luxurious. Chic Family Travels booked a two bedroom villa with a private pool at a rate of $400 a night. WOW! Check back in Feburary for our full review of the Cala Luna boutique hotel in Tamarindo Costa Rica.